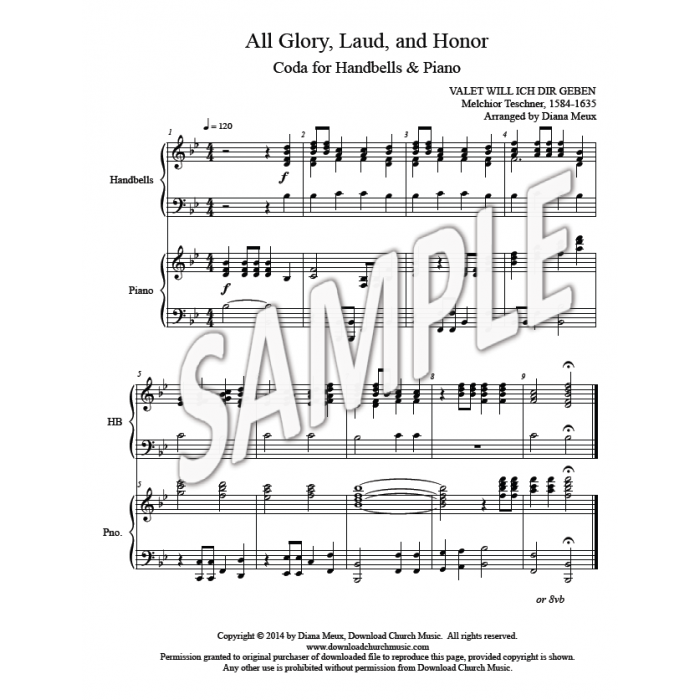 Hymn Introduction and Coda (for after singing the hymn) for handbells and piano, for Palm Sunday. 2 octaves, 12 bells used. Optional: Add wood blocks through measure 12. Please contact Download Church Music should you have trouble opening the zip file. 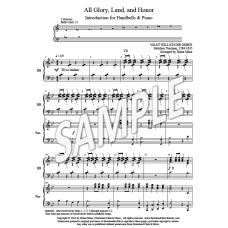 Handbells/Handchimes 2 octave handbells & piano. 12 bells used. 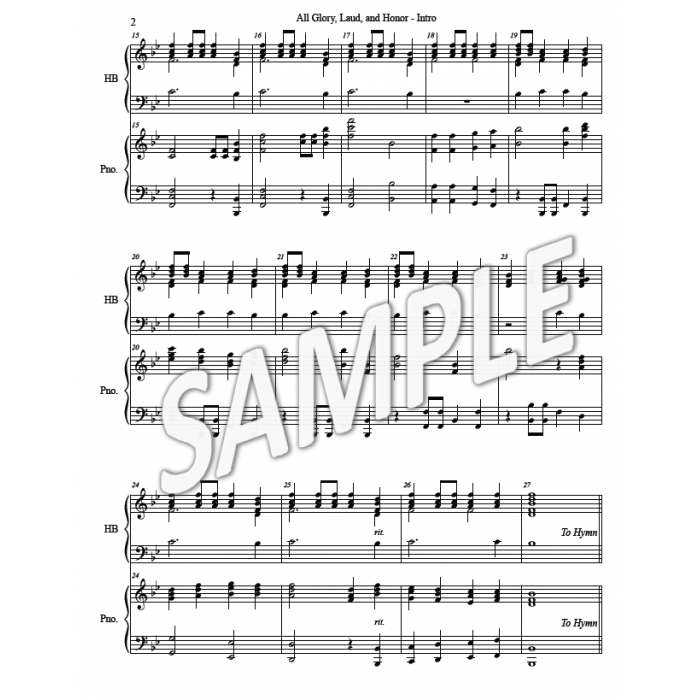 Instrumental 2 octave handbells & piano. 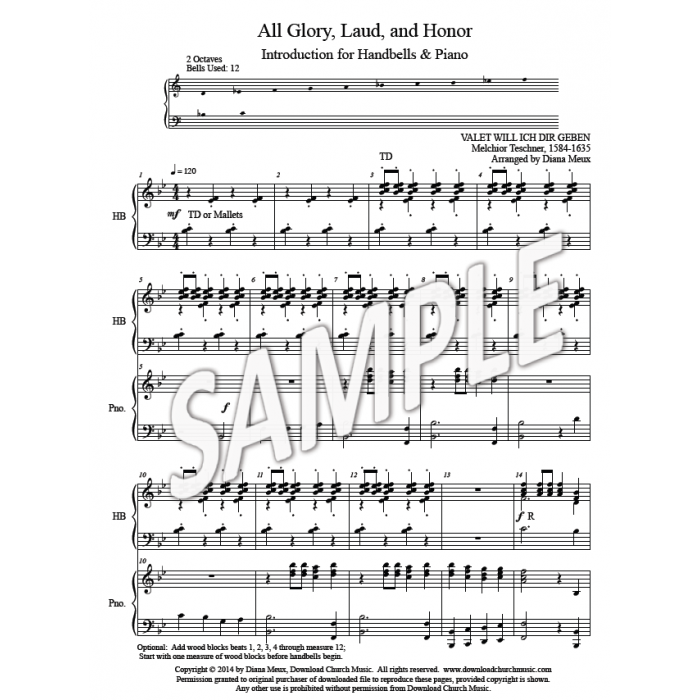 Creative Introduction to the hymn, Coda following the hymn.